Thank you for making a donation. Your support means we can keep working to ensure no-one has to face mental illness alone. All charitable donations $5 and above are tax deductible and a receipt will be provided. If you would like a receipt, please email fundraising@mentalhealth.org.nz with your details, and the amount of the donation. Make a one off donation or set up a regular donation to the Mental Health Foundation online by credit card. If you would like a reciept, remember to include your contact details with your donation. 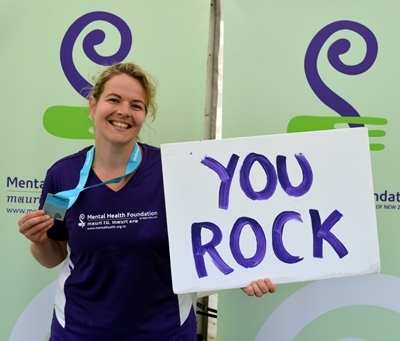 If you are wanting to donate to someone running the Auckland Marathon for the Mental Health Foundation, find their page here. If you are wanting to donate to someone who has an online fundraising page for another event, search for them here. Donations to the Mental Health Foundation go towards funding information resources and website, and campaigns. Organising Mental Health Awareness Week and Pink Shirt Day campaigns to promote and educate about general wellbeing, anti-bullying and anti-discrimination. Advocating on behalf of people with experience of mental illness for better access to services, a national commitment to upholding dignity and human rights, and equal participation in communities and in employment.